The idea of a large production of commercially available electric cars is not a new one. The low energy density of batteries that power these cars has always been the reason why internal combustion engines dominated the market. Batteries provide bulk, are expensive, and have low efficiency compared to fossil fuels. For instance, a battery pack containing energy corresponding to 50 liters of petrol (gasoline) could weigh between 1.5 and 2 tons. 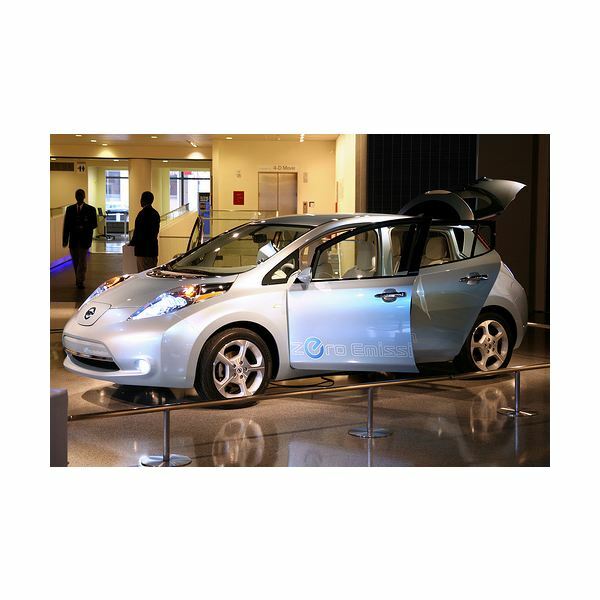 The best batteries for electric cars today are considered to be the lithium-ion batteries. These are the lightest and have the highest energy density among all rechargeable batteries. However, this is probably not enough. 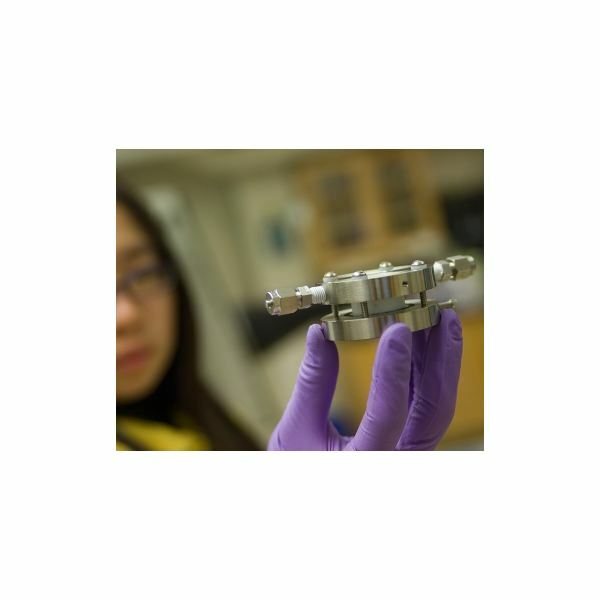 The development of a new kind of lithium battery, the lithium-air rechargeable battery, seems to promise high energy densities that could only be compared to that of gasoline. The operation of a Lithium-air battery is more or less the same as that of a Lithium-ion battery. The anode in the Li-air battery is made up of lithium, while the cathode is made up of porous carbon that absorbs oxygen from the air (open). During discharge, oxygen reacts with the lithium to form lithium peroxide; during charging the reaction is reversed and oxygen is released. These reactions take place on the surface of the porous carbon electrode and energy is produced. The use of a porous material as a cathode and the absorption of atmospheric oxygen make the battery much more lighter compared to a lithium-ion battery. Many companies, including IBM and General Motors, are already working toward improving the current technology and overcoming the challenges that arise. One of the major disadvantages that lithium-air batteries present is their limited number of charge/discharge cycles. A lithium-ion battery has the ability to be recharged more than 100,000 times, while a lithium-air battery can be recharged only about 50 times, and this is due to the very high energy loss (~40%) occurring during charging. Apart from the number of charges, it is necessary to decrease the amount of time needed for recharging the batteries. An electric car battery that takes too long to refuel is impractical for any consumer, especially when compared to the amount of time needed to refuel with petrol. Another problem is the fact that during operation li-air batteries produce lithium oxide, which is very difficult to convert back into lithium again. The only method used currently to achieve this is with the aid of catalysts, although a considerable amount of lithium oxide still builds up inside the battery. The future of lithium-air batteries is vague. Although significant advances have already been introduced, it is not certain whether they will be commercially available in the next few years. The fact that lithium-ion batteries were developed in the 70s and finally entered the market in 1997 is encouraging, however. In order for li-air batteries to enter the market, the problems described above should be overcome prior to commercialization. As soon as this happens, the first applications are likely to be in portable electronics (laptops, cell phones, etc.) while larger applications such as electrically powered vehicles are expected much later.